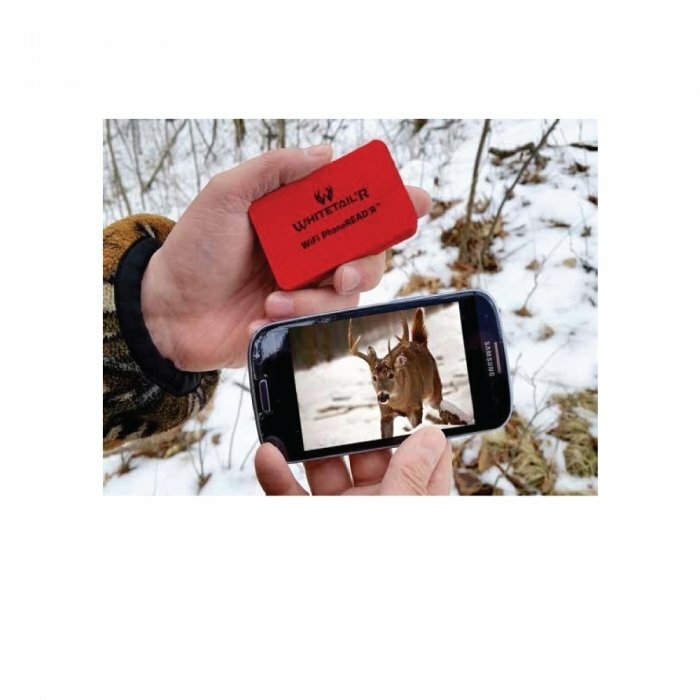 Transfer images from your TrailCAM SD card to your smartphone or tablet, then simply clear the card in the field and return it to the TrailCAM. 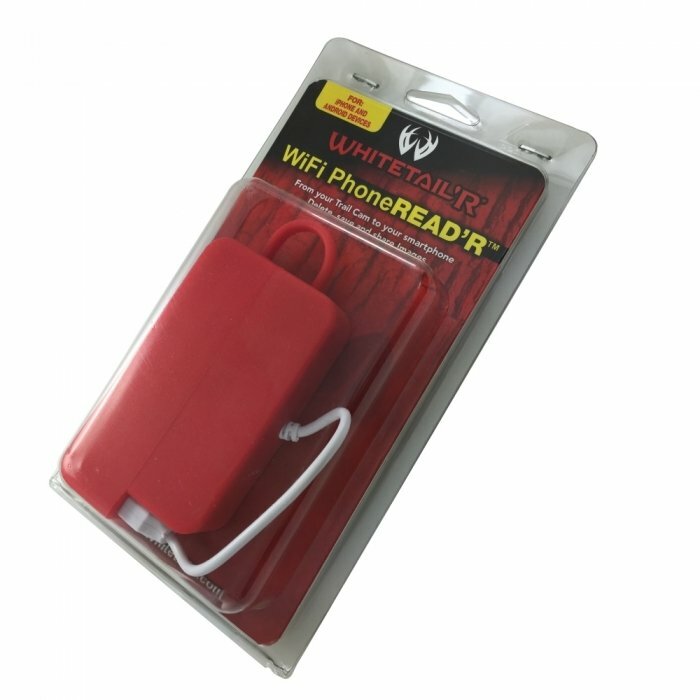 This PhoneREAD'R creates its own WiFi hotspot for your phone to use anywhere you hunt. 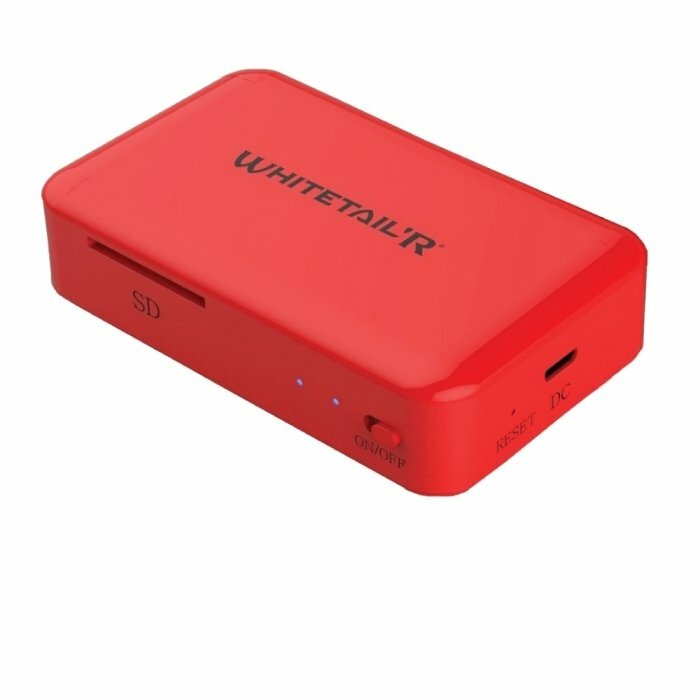 Simply plug in the white cord for ease of recharging the batteries. 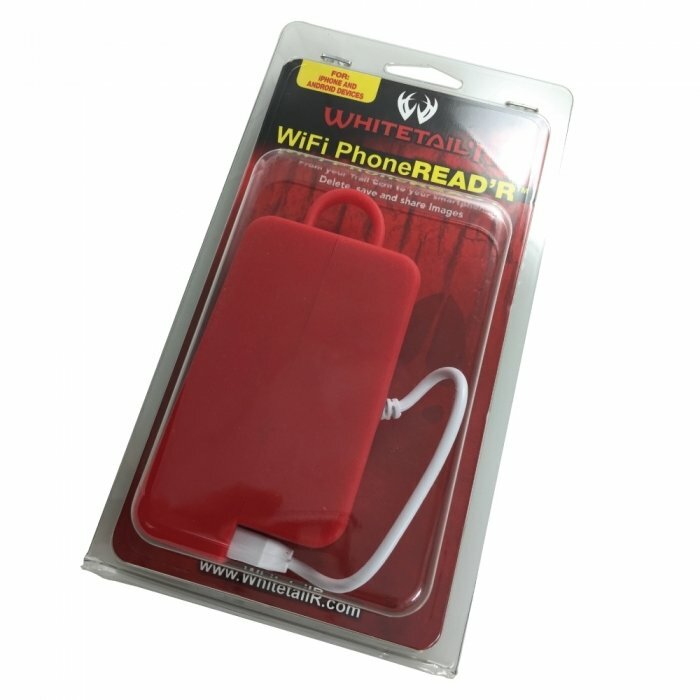 Operates with a free App for iPhone and Android systems.